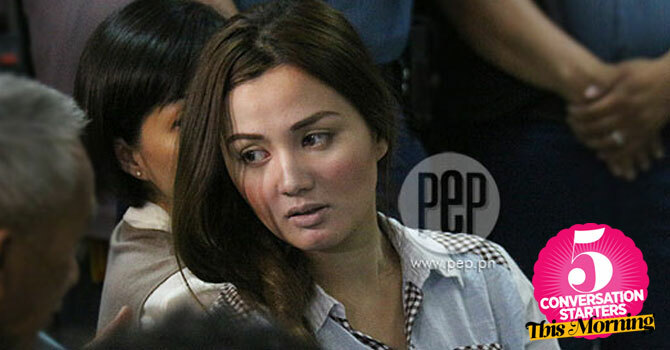 May 6, 2014 Conversation Starters: Deniece Cornejo Finally Surrenders + More! 2 Wanna see three of the HOTTEST guys in Hollywood dance to Robin Thicke's "Blurred Lines?" You are going to get a kick out of watching Hugh Jackman, Michael Fassbender,and James McAvoy show off their dance moves during their appearance on The Graham Norton Show. 4 If you cannot get over the hotness that is Andrew Garfield, you are going to FLIP when you watch this fake trailer for "The Beygency"—which aired on Saturday Night Live. Even Beyonce thought it was HILARIOUS, after she posted this photo (shown below) on Instagram with the caption: "Haaaaaaaaaaaa"
5 In case you missed it, the MET Gala—which is only the biggest night in fashion, NBD—is happening right now! If you want to know what your favorite stars are wearing, y'all should hop on over to Cosmopolitan.com to check out the stars' fun and fearless fashion.